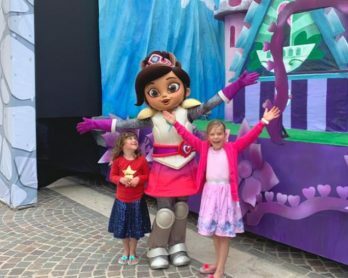 More and more family friendly festivals are popping up over the UK which means there will be more of you writing out your festival camping checklist this summer ahead of these events. 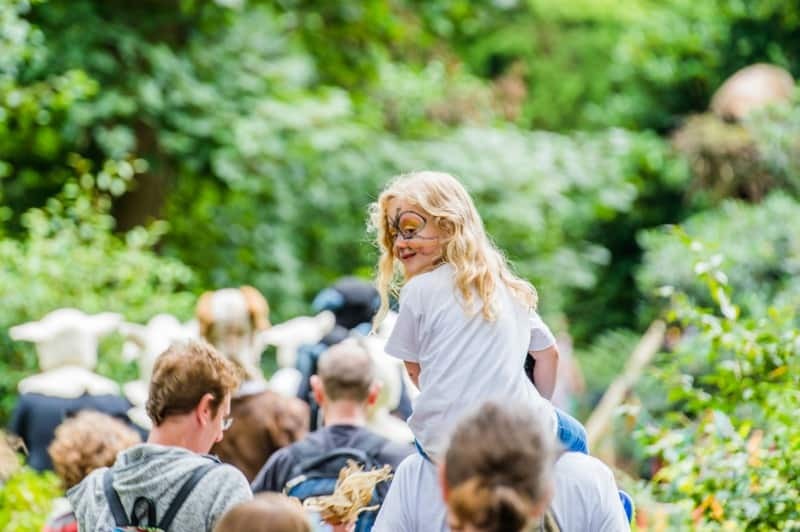 We are going to be visiting Timber Festival next month and the Just So Festival in the summer holidays so we wanted to share our best festival tips and tricks to make sure we all have a great time! 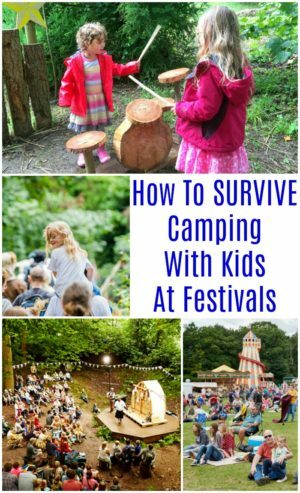 If you are looking for festival tips for first timers or your an old hat at camping with kids I’m hoping that you will find something here you haven’t thought of before. 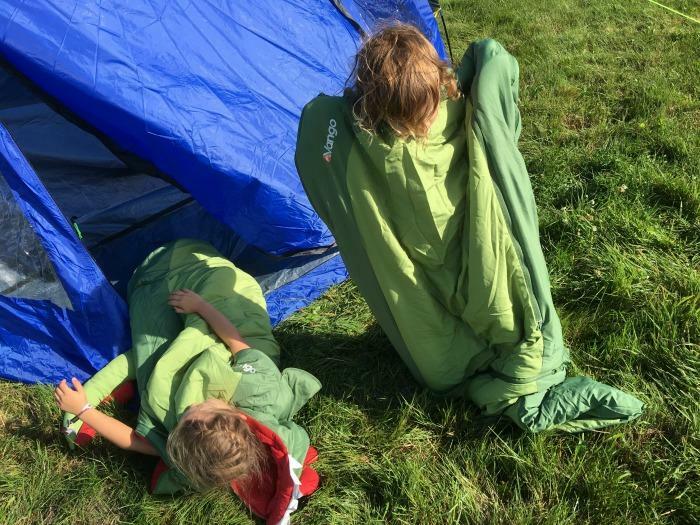 These family camping tips are tried and tested so I know they won’t let you down. 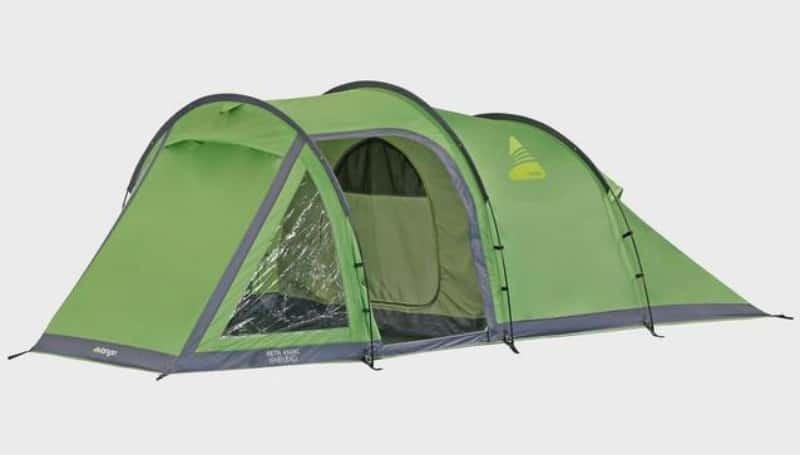 One of the best festival tents you can buy is the Vango Beta 450XL Tent available from Tiso. It sleeps 4 people and has a separate room inside the tent where you can store your belongings or escape to if it rains. The size of tent is important as well as you want something easy to put up and take down, and will fit into your car with everything else you need for the festival. One item always on our festival essentials list is the Crotec folding camping trolley. It’s lightweight and compact which is great for packing in the car and for when you are transporting your camping equipment to your site. It’s also really handy for transporting small children and any items you might need during the day around the festival. A set of camping chairs in your camping equipment will make your life that little bit more comfortable during your time at the festival. There may be times you want to sit outside your tent, or camping chairs can also come in handy if you are watching a band or a show. Sitting on the floor might seem like a good idea, but if you try and do it for any period of time it can get quite cold and uncomfortable for both you and the kids. Another investment worth making is camping airbeds for pretty much the same reason as above. 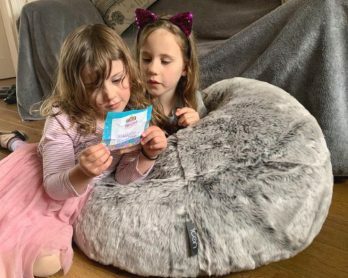 Kids sleep much better at festivals or when camping if they can sleep on airbeds as the ground gets really cold late at night and is to hard to sleep on comfortably. Snuggly sleeping bags are essential and everyone remembers to pack these when they go camping. The one item I always seem to forget is pillows, and have ended up rolling up towels on several occasions but to be honest, they don’t quite do the job. Make sure you add both of these to your list for a good nights sleep. Kids eat all the time, especially when they are running around outdoors at festivals, so having a good picnic backpack you can keep all their snacks and drinks in will save everyone from those hangry moments little ones can be prone to sometimes. 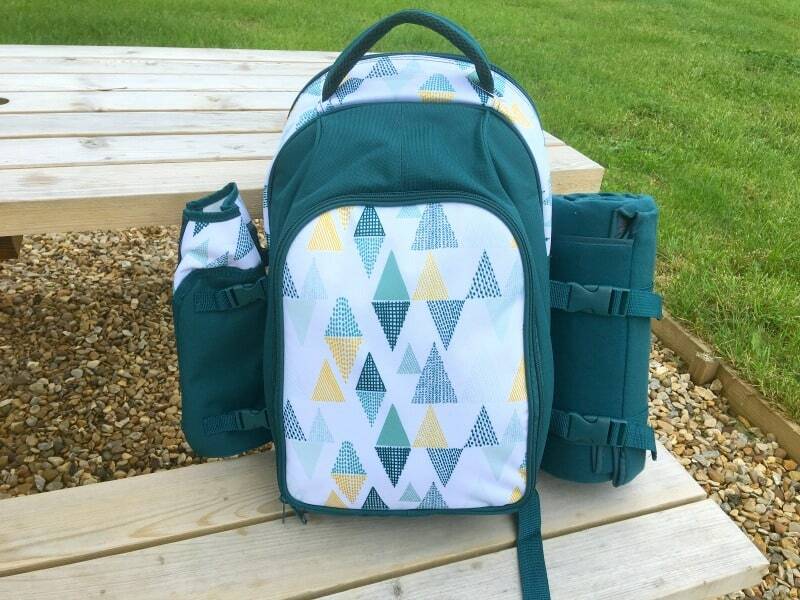 This picnic backpack is great for camping gear as not only does it come with a picnic rug and bottle carrier, but inside you also have all the knives, forks, spoons and plates you need for a family of four which you can use at meal times. Make sure you pack your wellies, or outdoor boots. 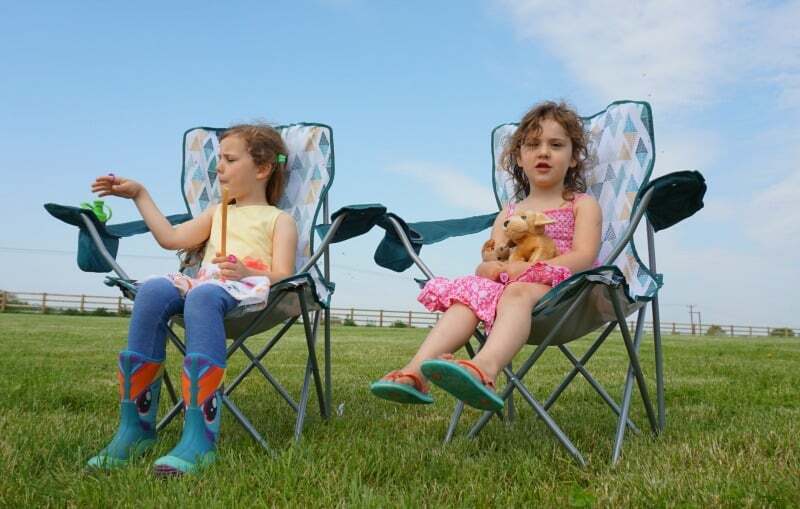 We love the Muck Boot & Co outdoor boots for kids as the grips are amazing. If your festival turns into a mud bath these boots will save your kids from falling over when it gets slippy. 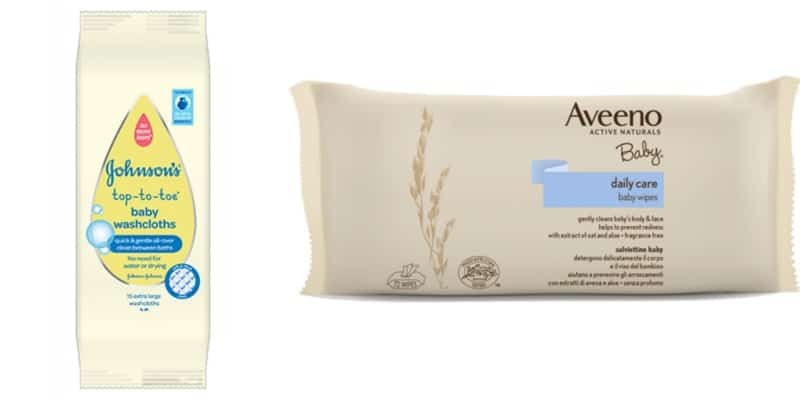 I think everyone should take baby wipes to a festival and we are loving the JOHNSON’S® TOP-TO-TOE® Baby Washcloths for keeping kids clean and the Aveeno Daily Care wipes for dealing with any accidents on the go. Please avoid taking plastic bottles of water to your festival if you can. 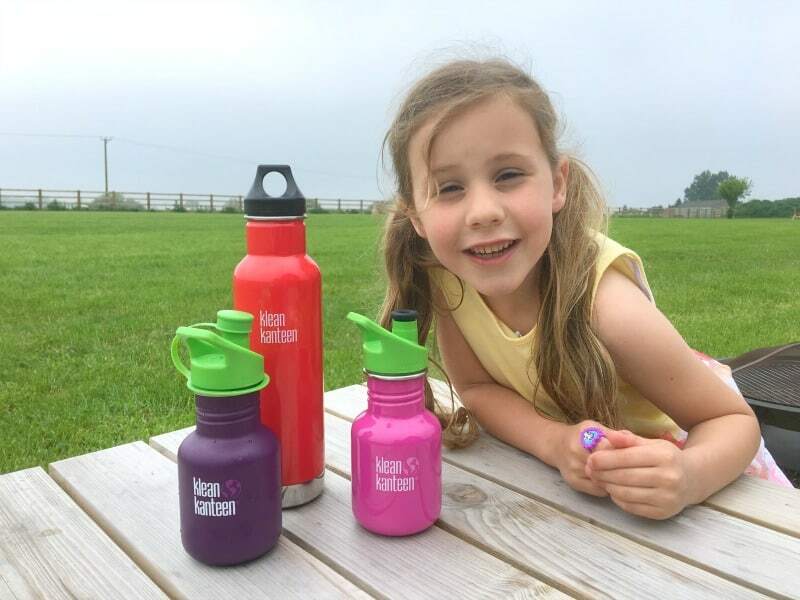 Most festivals provide running water safe enough to drink and the Klean Kanteen bottles are the perfect bottle to use when camping. They are tough and insulated so will keep drinks cool when needed, and the fun designs will add a pop of colour to your festival gear. There are a few things you should take to a festival especially for the kids to make things go more smoothly. As well as layers of clothes, good footwear and a waterproof coat here’s a few things that will make life easier too. If your children still have a bedtime story and a toy to snuggle up to, it’s worth packing these for them to help them settle at night whether you plan on keeping to their regular bedtime routine or letting them play until they drop. Also pop to your local super market and pick up some bubble wands and a few outdoor toys. Having a few things like this to hand will keep them entertained while you are busy putting up the tent and they will also help them to make friends. Kids seem to gravitate towards bubbles don’t they! When you are going to a festival with kids, you will probably spend most of the day in the sunshine so good sun protection is going to be essential. Make sure you pack a really good suncream for kids, their favourite sun hat and a good pair of sunglasses like Suneez, which are durable and offer great protection from the sun. Making snack packs was a real game changer for me, and it’s the simplest idea for keeping hunger at bay and children happy. Buy a selection of snacks and pack what they can have for the day into a ziplock bag. Things like fruit, raisins, crisps etc work well for this. When they are feeling a bit peckish they can reach for their snack pack and it will save them asking for food when they are hungry. If your children are new to festivals, then some soft lighting might just help them feel more settled in their new surroundings. Fairy lights are a lovely way to decorate the tent or take some small torches they can use at night if they are feeling a bit nervous about the dark. 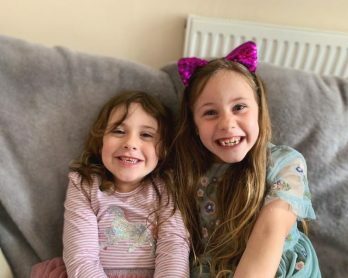 My daughters love a bit of glitter and hair dye when they are going to a festival, and one of the most clever festival ideas is to buy some from Amazon before you go, especially if you are being budget conscious. 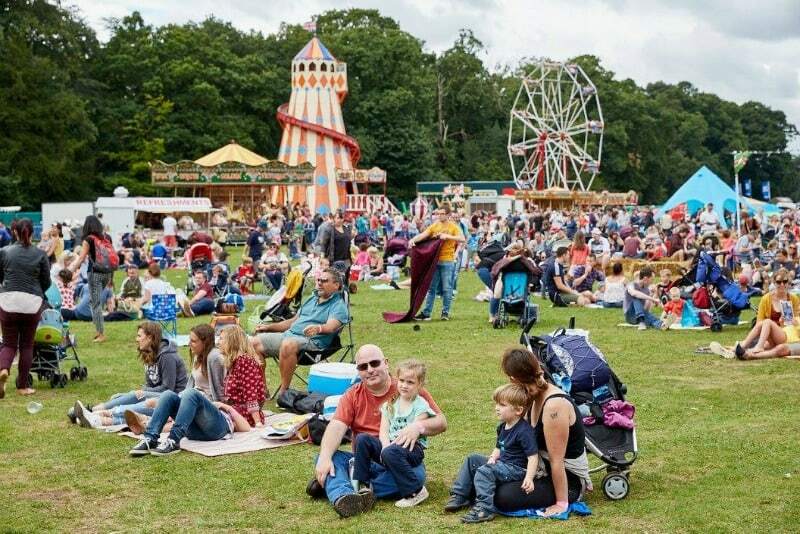 Festivals can be really busy and you would be surprised how quickly a child can get lost. Just taking a few wrong turns near your tent and they might not realise where they are. To make sure this doesn’t happen to you or you can find your child again quickly if it does, these tips will definitely help save the day. Take a photo of your child whenever they change there clothes, morning and night. 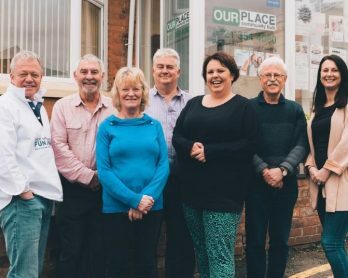 Talk to them about who the festival staff are and what they are wearing so they know who to talk to if they get lost. Write your phone number on them, a bracelet or on something in their bag and make sure they know where it is. Even if your children are way past using the potty, if they can still fit on it I would take it. It could save you a few late night trips to the festival toilets. I always take a spare toilet roll to the campsite toilets when I’m camping with kids, and it’s also a good idea to have a few packs of tissues in your bag for while you are in the festival. I’d always have the baby wipes and an anti bacterial gel to hand as well. Flips flops are the best footwear to use for when you are visiting the shower. If you want to avoid the queues for the showers, the best time to visit is in the evening before the kids get ready for bed. You should be in and out fairly quickly with this tactic. Clothes and footwear can take quite a hammering at a festival especially if the weather is against you. 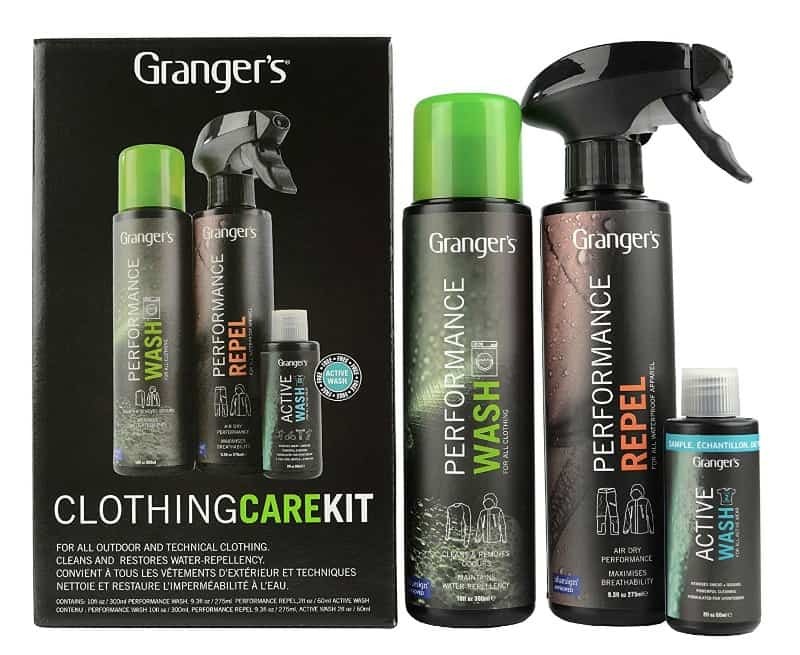 For any outdoor clothing or footwear that may have suffered during your trip check out the Grangers range of cleaning and odour eliminating products to get that fresh feeling back again. I love the look of the Klean Kanteen water bottles so snazzy, would be very handy for everyday use too! We love going camping as a family, this would be a great prize to win. 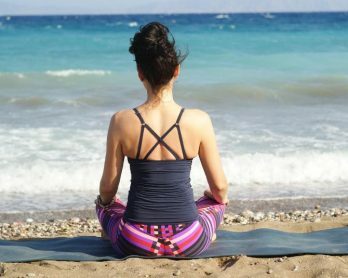 Even As a seasoned camper there are some great tips on this posT. Fab tips – I definitely could not sleep without an airbed these days! Good kit can transform a family camping experience from fun into fabulous! We are due to retire soon and a tent would add so may more opportunities to our travel plans and these essentials would add so much to the experience. I would love to win. We keep meaning to go camping and this would be a great boost to get us moving. 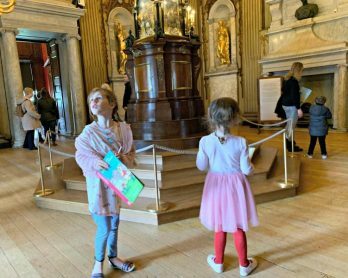 Kim Carberry recently posted…A fantastic father’s day…. Fab tips Zena! We bought a festival trolley on your recommendation last year!! I’m not much of a fan of camping, but my girlfriend is forcing me this year so I would love some camping equipment to make my experience easier! No bubbles as bubble mixture can ruin tent fabric, but my god ALL the wet wipes! Great tip on taking your own water bottles too. 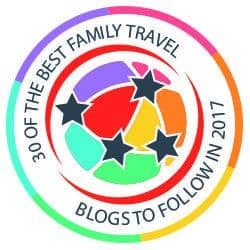 This is an excellent list and includes loads of the things we will be packing too. We just need the trolley! I absolutely love camping and think your list of essentials was spot on. I can’t wait to hopefully go this summer. This is a fantastic article. We are taking our boys on their first camping experience to Camp Bestival in a few weeks so as we have a lot to buy I found this super handy! A camping essentials kit would be a great start! I’d love to win this prize as we are planning our first ever camping trip as a family this summer. I’m so excited about it!! It would enhance our family camping experience. Would love to win as we love to go camping. We want to go camping this year, as it’s a cheap way of getting lots of family members together (we live far apart), so this would be great. I’d absolutely love to win this for my kids when they go camping it would make things a lot easier ? We go camping all the time and these would be great addition to our camping box! I would absolutely love this stuff so me and my family can up sticks and dissappear into the country for some R&R. Would love to win, these products look great for keeping equipment clean and in a good state so they last! I would love to win as I’m trying to convince my partner that camping is fun! 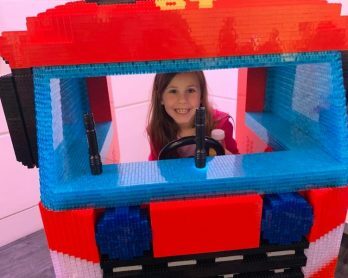 My daughter loves to go camping with me, but my wife doesn’t so anything that makes it easier and more ‘glam’ will help encourage her to come with us! This prize would be fantastic for new adventures – wild camping!! id love to try out these products we go camping often ! anything that makes camping easier is something I need In my life! 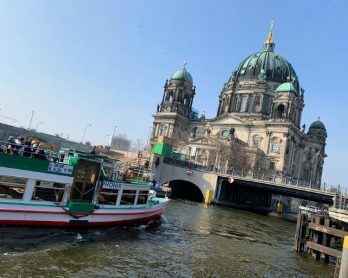 Such practical advice – thanks for the tips, will come useful once the summer holidays start. Plus I’m a coffee addict too. sorry I also want to enter because this stuff always comes handy (love the tent!) and want to get kids out doors in the summer – make them little explorers. 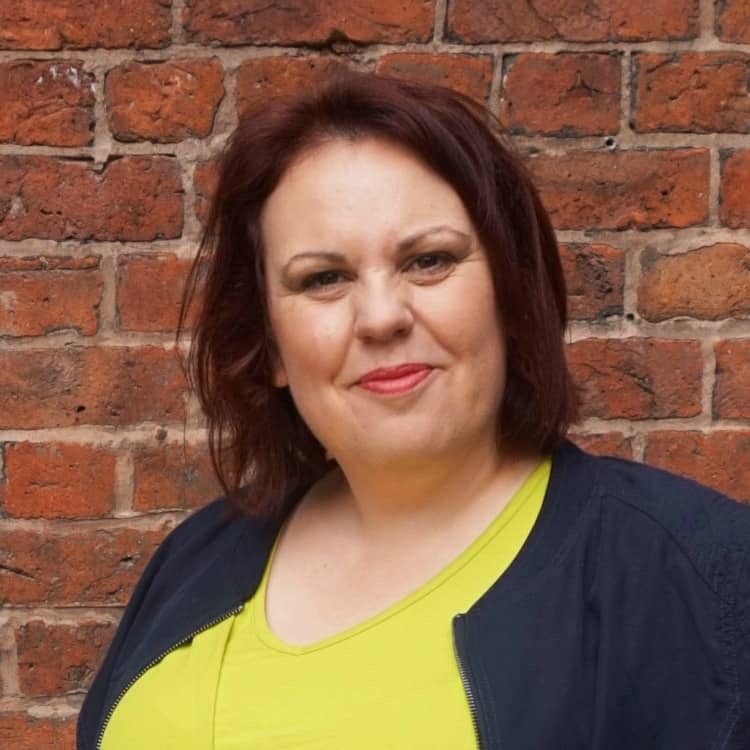 I’d love to win as I’m going camping with my nephew for the first time this year – and this would make it extra special! I would love to win as we are due to go on our first family camping trip in August and have no gear! I would love to win as we have never been camping before and would love to give it a go. we go camping a lot so this prize would be great. This would be wonderful for my little family, an excuse to take them away! I’m off camping in August for my friend’s birthday, so would absolutely love to win as it would be perfect to take along on our camping weekend. We love camping with our grandchildren and it can get messy. Your lovely prize would be fantastic to win to keep them clean eithout too much fuss. I lent a friend my camping kit, I can’t see me seeing it again. My kids love the outdoors, especially camping. The one place where they do not miss their mobile phones. I love sharing the whole camping experience with my daughter although my partner always needs a bit of convincing. I’d love to win this for my brother as he’s always going camping. Not sure he’d use the dry shampoo though as he has no hair but does have a beard ? My husband and son love their camping trips so I’d love to win this for them! We have a family camping holiday in Europe coming up so this would help me survive that! It’s many years since I went camping but I fancy trying it again now we have some nice weather. we love to go camping so would help out! some awesome essentials for the next camping trip would come in handy. I would love to win as camping is something I love and i’d love to be able to show my brothers how fun it is! This would be great to get the family out. Good tips!